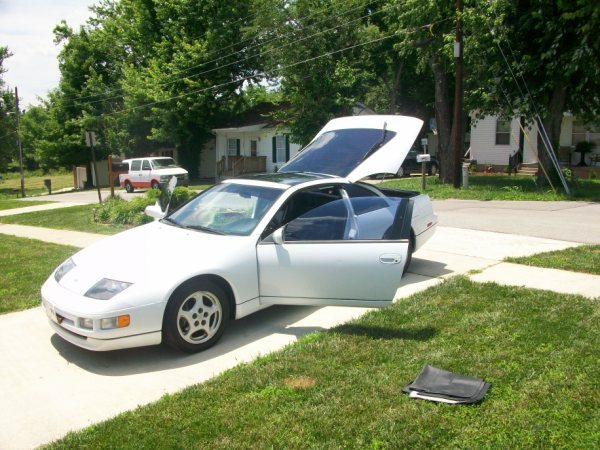 The search for my next 300ZX is about 3 months old now and I may have finally made up my mind to make a move on one. This is a white 1996 2+2 that is for sale in Kentucky and I have been in talks with the owner the past couple of days trying to iron out the details. This car is VIN JN1RZ26D8TX590627 which is one of only 19 White 5 speed 2+2s made in 1996 that had the charcoal interior. From the pictures that I have seen it looks to be in very good condition, the owner is getting the fender replaced and painted so it should be cosmetically sound. If I do end up with this car I haven’t decided the first thing that I will do to it. I may opt to do the wheels depending on how much tread the tires have left. I don’t think that it has the kind of exhaust on it that I like so I may end up going with a new exhaust and intake as my first upgrade. Once again, I’m just rambling now but I wanted to post this quick update that the search may be over and the fun is just about to begin.